In the late 19th century, the dynasty-bound historiography began to be percieved by a minority of Chinese thinkers (e.g. Kang Youwei) as "backward". An attempt was made to substitute it with what mimetic of the missionary way of historical time-reckoning - in particular the temporal succession following the birth of Confucius or Buddha. By the beginning of the 20th century, the project had been conceived as unsatisfactory. A whole new generation of Chinese historians were led by Liang Qichao to rewrite China's "national history". They saw imperial historiography as "individualistic" - tied to the emperor's "lineage" and life course - and the "national history" as "collective" - made by the "nation" as a "unity of diversity". To change the old into the new, they painfully adapted the dynastic cycles to the newly adopted years, decades, centuries, and ages and, very soon, they accomplished their mission of "historiographic estrangement". 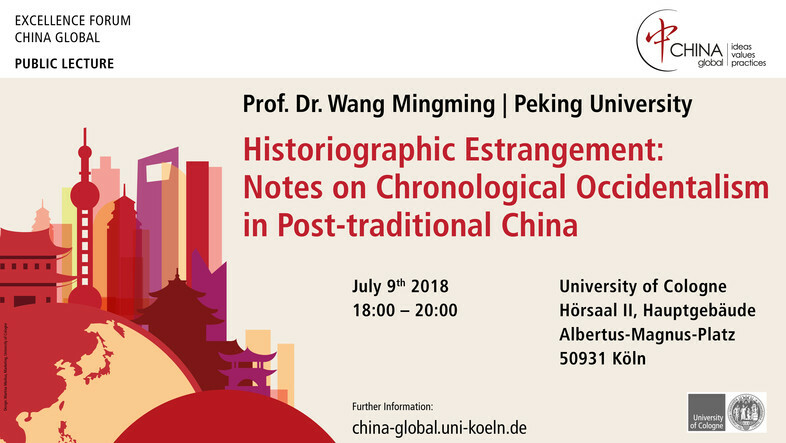 The "historiographic estrangement" has resulted in the consequential re-division of "Chinese history" into antiquity, Middle Age, and modernity whose accumulative and teleological contents have deeply affected Chinese political life since the early 20th century. In this lecture, Professor Wang Mingming reflects on the transition by situating it in the Western priestly sinological translation of "ancient China" and the post-traditional Chinese "chronological Occidentalism", and by contrasting the "new history" with classical and early imperial Chinese ideas of the ancient. While he will emphasize the importance of understanding the radicality of the chronological transformation, he will also draw attention to the "secret lives" of the old history.